Knife Rights’ New York Gravity Knife Law Reform Bill passed the Senate by a vote of 61-1. The identical Assembly version, A.5667A, was substituted for S.4769A and was the version passed. We’d like to express our sincere appreciation to Senator Diane Savino for her extraordinary efforts and perseverance as the Senate sponsor that finally resulted in this bill being brought to the floor for a vote. Our Assembly sponsor, Assemblyman Dan Quart worked very hard to get this done. Thanks also to everyone who called and emailed Leader Flanagan. That was a huge help to Todd Rathner, Knife Rights Director of Legislative Affairs, who spent this week in Albany lobbying to get the vote done before the deadline. Finally a shout out to our good friends at the the Legal Aid Society and the NRA, whose lobbyists also worked very hard on this effort. The bill previously passed in the Assembly by a vote of 128-1. The bill is now ready to be transmitted to Governor Cuomo. We will advise when the bill is transmitted, which may take some time. Only at that point will it be time to again call and email the Governor. In response to the Governor’s objections to last year’s bill, this year’s bill removes “centrifugal force” from the definition of a gravity knife and adds “solely” to create a bright-line definition that even overzealous New York City law enforcement and prosecutors can understand, as desired by the Governor. It would preclude the unconstitutionally vague “wrist flick” test that has resulted in over 60,000 arrests and prosecutions in New York City which the Governor himself described as “absurd” in vetoing last year’s bill on New Year’s Eve. Any true gravity knife, as the term is understood everywhere but in New York City, will still be prohibited by the “released from the handle or sheath thereof solely by the force of gravity” portion of the definition, but common folding knives could no longer be considered gravity knives. 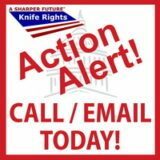 UPDATE: NY Senate Holding Up Gravity Knife Law Reform Bill – CALL/EMAIL Today! Once again, the New York Senate is playing politics with our Gravity Knife Law Reform Bill, S.4769A. There are only 4 days left in the session. Senate Majority Leader John Flanagan can bring the bill to the floor for a vote as early as today if he wants to. If you live work or travel in New York, CALL or EMAIL Leader Flanagan TODAY and politely ask him to bring S.4769A to the floor for a vote. CALL or EMAIL TODAY! Knife Rights’ New York Gravity Knife Law Reform Bill passed in the Assembly by a vote of 128-1. This is the fourth year in a row that the Assembly has passed a bill to stop the abuse of the state’s gravity knife statute by New York City. Last year’s bill passed the Assembly 117-12. Last year the bill passed in the Senate 61-1. Knife Rights’ New York Gravity Knife Law Reform Bill, A.5667 passed in the Assembly by a vote of 128-1. 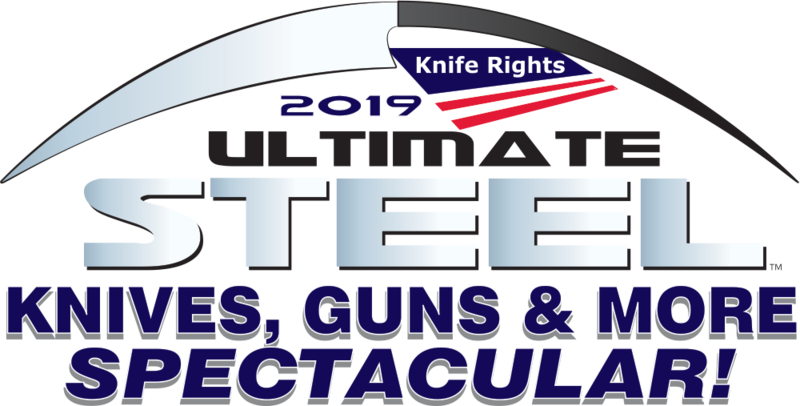 This is the fourth year in a row that the Assembly has passed a bill to stop the abuse of the state’s gravity knife statute by New York City. Last year’s bill passed the Assembly 117-12. Now the Senate will consider their identical version of the bill, S.4769. Last year the bill passed in the Senate 61-1. A.5667 is sponsored once again by Assemblyman Dan Quart. The battle now moves to the Senate where S.4769 is sponsored once again by Senator Diane Savino. Both sponsors have been relentless in their pursuit of justice for New York City’s residents and visitors. Meanwhile, our six-year-old Federal civil rights lawsuit over the constitutionality of New York City’s “wrist flick” test continues with our appeal brief due to be filed by June 1st.